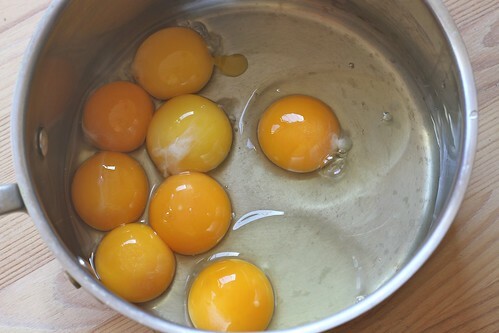 Make a lemon curd: In a heavy, non-reactive saucepan, whisk the eggs and yolks together. 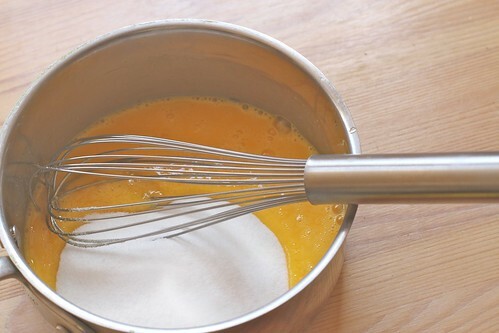 Whisk in one cup of the sugar, salt and lemon juice. Put the pot over medium-low heat and add the butter. 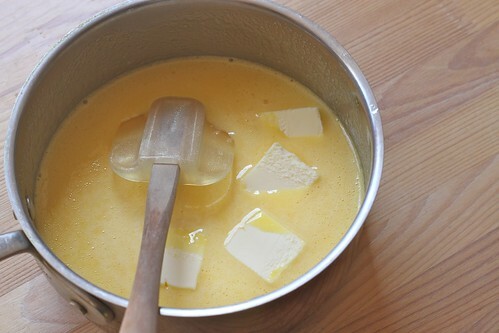 Heat, stirring constantly, until the butter is gone your spatula leaves a trail along the bottom of the pot. 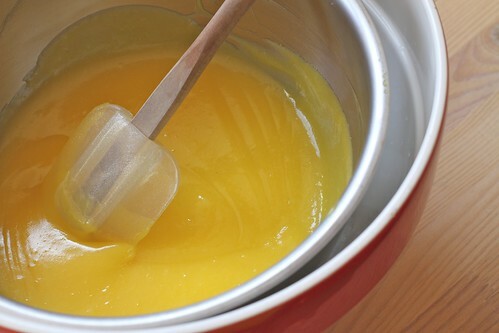 Assemble the mousse: Scrape the cooled lemon curd into the bowl of a stand mixer. 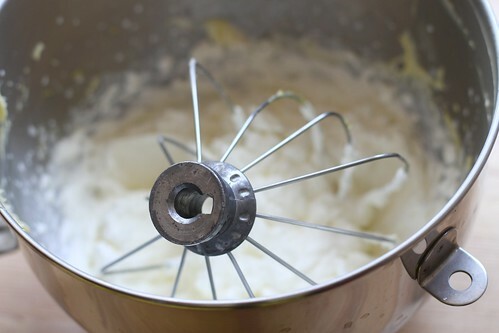 Using the whisk attachment, beat in the mascarpone until well combined and smooth. (You can also do this with a handheld mixer.) 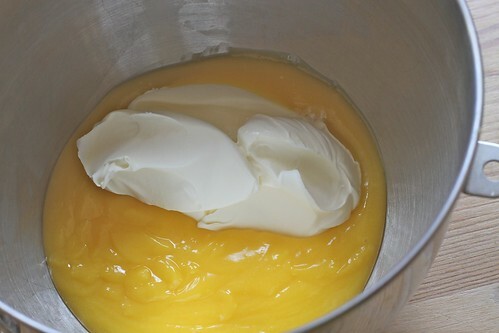 Scrape the curd-mascarpone mixture into a large bowl. 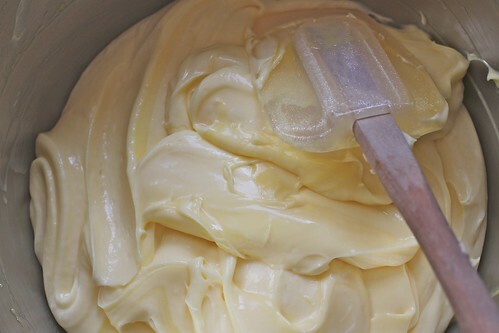 Add the heavy cream, remaining quarter-cup of sugar and lemon oil to the bowl of the stand mixer and whip until stiff peaks form. 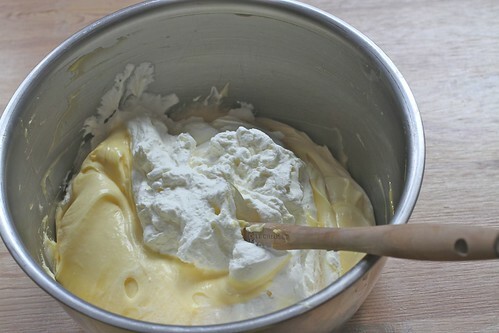 Fold the whipped cream into the curd-mascarpone mixture. Scrape into a serving dish, cover with plastic wrap and chill for as least 3-4 hours. Previous Previous post: Smackdown: When Will "Then" Be "Now"? Oh my god this sounds so good. 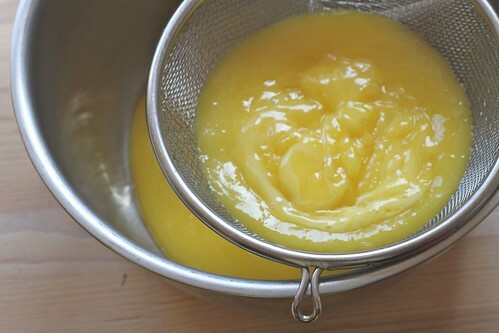 I already have your lemon curd recipe bookmarked for this summer. BUT THIS. WHY IS THERE NO STAND MIXER IN MY LIFE. 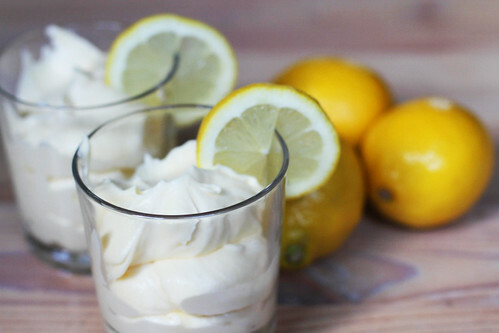 I love chocolate mousse but I’ve never tried lemon! With all the sun we’ve had the past few days I’ve been craving a recipe like this. yeah.. that doesn’t need words. Yummy yellow good-ness. I can’t wait! Hugs! Through the incredible generosity of a beloved auntie, I received a KitchenAid mixer this week. 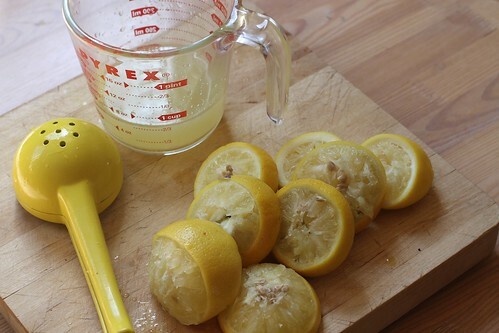 I also lucked into some amazing lemons, at the unbelievable price of 3/$1.00 (and bought a dozen). This recipe is in my immediate future. i had to copy paste this recipe into my recipe folder. omg! it looks absolutely marvelous. i think i’ll make that sometime this summer. it looks like a perfect hot day dessert. This needs to be applied to my face. RIGHT NOW. I’m not a huge sweets eater, but this rang my bell. Saved it, got to make it. Maybe next weekend. leslie, hey, you could do it with a whisk and some elbow grease. the stand mixer just makes it go faster. sammie, it’s so good, you might never go back to chocolate. gina marie, back at you! mel, huzzah on both counts! melissa, and it was. oh, yes. naomi, it’s a bit rich, but also very fresh tasting. an, seriously. my guests devoured it with a vengeance. kay, it has such a clean lemon flavor; i bet you’ll like it.